Click on the image to see enlarged. To learn more about the President Obama’s support for the BRAIN initiative, reference the White House issued “Fact Sheet,” here. It’s no surprise that advances in brain science are already making it easier to prove the existence of a TBI, understand its prognosis, and provide more effective interventions and rehabilitation. Further, interest in brain injury and private investment in research has been accelerated by a new and greater attention to the plight of athletes and veterans who have suffered TBIs. For example, in March 2013 the NFL and General Electric Co. (GE Healthcare) announced a $60 million initiative to develop and improve concussion detection imaging for athletes, the military and the general population. “The partnership represents the NFL’s biggest private-industry partnership so far and follows increased attention on the long-term effects of brain injuries on current and former players. The GE initiative is just one of the steps the NFL has taken recently to reduce head injuries. BIAs are determined to serve not only the victims of TBI who have received public attention, like veterans and athletes, but also the less visible victims, such as those who are incarcerated in criminal institutions, where a history of TBI is surprisingly common. “Why Brain-Injured Defendants in Vermont Often Go Free,” a March 20, 2013 article written by Ken Picard for Vermont’s most popular weekly paper, SEVEN DAYS, documents the phenomenon. “How common are TBI victims in the criminal justice system? Brain injury experts say they’re much more common than the public or court personnel realize. Last year, the legislature asked the Vermont Department of Corrections to compile a report on the number of inmates suffering from a “severe functional impairment,” which can include dementia, mood or personality disorders, psychoses and TBIs. As of September , 121 offenders in state custody were known to have severe functional impairment. Only two were on the list for a known TBI. We are entering an era of new technologies, public and private funding, and greater public exposure for a condition that impacts individuals, families, loved ones and society in general. The outlook is hopeful. 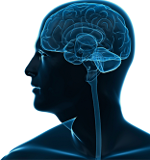 Please subscribe to the Brain Injury Blog for current updates summarizing new developments.